Morgan Newport goes into her windup. The junior and the rest of the Cats’ pitching staff have performed well so far this season. At 11-3, Northwestern is off to its best 14-game start since 2008, the last year the Wildcats won the Big Ten and the last time they appeared in an NCAA Super Regional. This weekend, NU will make its third trip to California on the young season, this time to northern California for the Stanford Invitational. The Cats will play Cal Poly (3-10) and the host Cardinal (11-2) on Friday, then play the Mustangs again as well as North Dakota State (7-6) on Saturday before finishing up with Montana (3-12) on Sunday. Despite the fact that some of these teams might not seem strong on paper, coach Kate Drohan said they are not to be taken lightly. Stanford is coming off a perfect weekend, which included a road win against then-No. 7 LSU as well as a victory over perennial Big Ten power Michigan. Cal Poly and North Dakota State have both played close games against No. 5 Washington, which beat NU in a tightly contested affair last weekend. 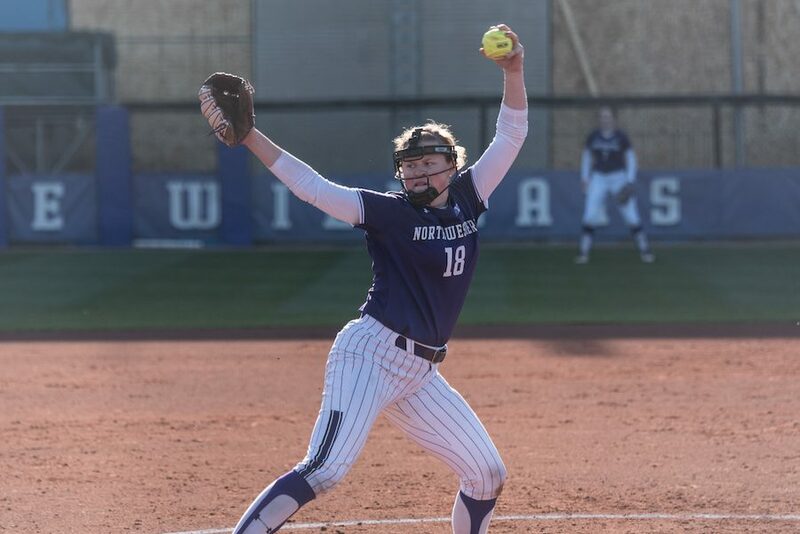 Senior left fielder Morgan Nelson and senior pitcher Kaley Winegarner were both initially verbally committed to the Cardinal but came to NU instead after Stanford made a coaching change. Nelson said she did not meet Winegarner until the two arrived on Northwestern’s campus, despite their similar journey. The Cats and Cardinal have not played each other since 2015, the year before Nelson and Winegarner arrived. NU has been inconsistent offensively, having scored nine or more runs four times but also having been held to two runs or fewer six times. Remarkably, the Cats are 3-3 when scoring two or fewer runs, thanks to their strong pitching staff led by freshman Danielle Williams. Williams has thrown more innings than the rest of NU’s pitchers combined and is 9-1 in the circle with a 0.99 ERA. Twice, she has thrown complete-game shutouts in 1-0 wins for the Cats. Nelson occupies the critical second position in NU’s deep lineup. She had a pair of multi-hit games last weekend at the Mary Nutter Collegiate Classic and leads the Big Ten with 14 walks Her on-base percentage is a team-leading .481. She expressed her confidence in the Cats’ chances this weekend to build on their hot start.